These unique 3-prong diamond stud earrings are made with one less prong than traditional studs, to showcase more of the diamonds and create a one-of-a-kind design that is modern and unique. This pair is set with two 0.10 carat diamonds for a total of 0.20 carats (1/5 carat total). The diamonds come standard with quality I-J Color, I2 Clarity or upgrade your diamonds to the quality of your choice. Includes secure friction post and push back closures. 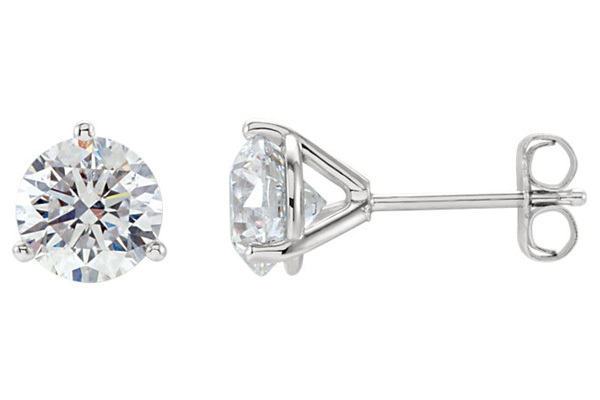 Also available in 1/4 carat to 1 carat diamond stud earrings, shown below. 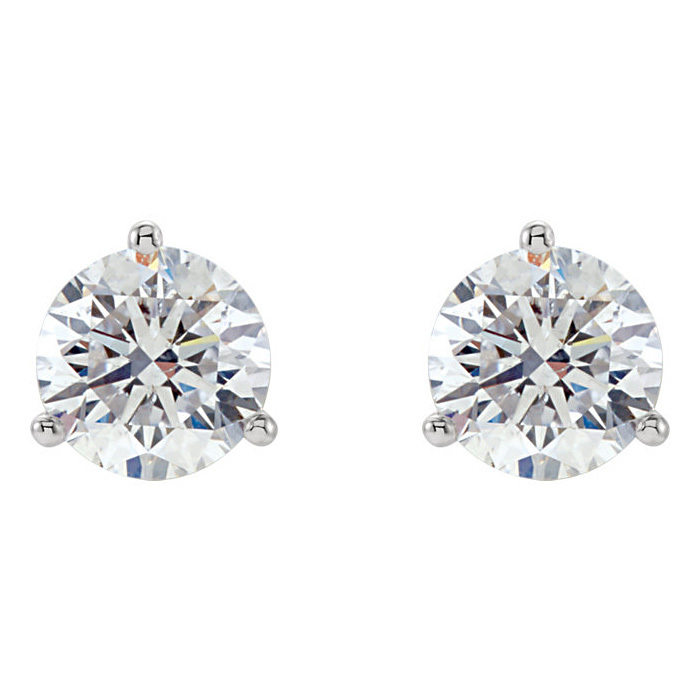 We guarantee our 1/5 Carat 3-Prong Diamond Stud Earrings to be high quality, authentic jewelry, as described above.